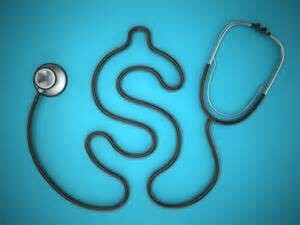 The high costs associated with health care and medical insurance makes the risk of interruption of coverage during a pending divorce or after a judgment of marital dissolution a matter of significant concern. Although spouses sometimes consider terminating coverage for a spouse or kids in a pending divorce, this action is usually not permissible. Because of the importance of insurance coverage to families, below is an overview of how health coverage is generally handled during a New Mexico divorce. When a petition for dissolution is filed in a New Mexico divorce to initiate a marital dissolution, New Mexico divorce judges generally will issue a temporary domestic order (“TDO”). A TDO is an injunction against unilateral disposition of property that prohibits both spouses from changing their financial situation or disposing of property during the pendency of the divorce. The restriction on changing the parties’ financial position includes not canceling health insurance for a spouse or minor children of the relationship. While a spouse is protected from having health insurance coverage cancelled during the pendency of a divorce by the TDO, insurance coverage of a spouse generally will terminate when a divorce if final. New Mexico divorce judges do not have the authority to compel health insurance companies to continue coverage of a former spouse after a divorce judgment has been entered. Some couples choose legal separation as opposed to divorce so that both parties can maintain health insurance since legal separation can decide all of the issues of a divorce but does not terminate marital status. Although it may be tempting to speculate that Obamacare will eliminate these issues because spouses who lose coverage will not be excluded from obtaining other coverage for pre-existing conditions, other problems will persist. When spouses lose their insurance coverage during divorce, they may find that replacement coverage does not allow access to the same doctors or treatment alternatives. The new health insurance also might be more expensive so this is an issue that should be discussed with an experienced New Mexico divorce lawyer. Health insurance for children in a divorce is handled differently because the New Mexico child support guidelines impose a responsibility on parents to provide health insurance for their minor children. However, the determination of which parent must provide this insurance will be based on a number of factors, including the relative cost to each parent. If your spouse terminates your insurance coverage after the filing of your divorce, you should seek immediate legal advice regarding your options in terms of enforcing the TDO. Jay Goodman and Associates offers a free consultation in our centrally located offices in Santa Fe and Albuquerque during which we discuss your situation and answer your questions. Call us today to schedule your free consultation at 866.989.8117 to learn about your rights and options.